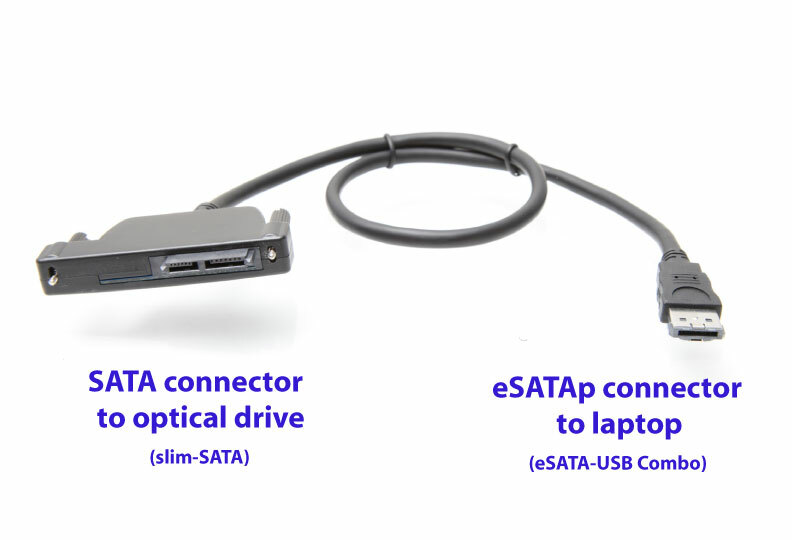 Add a Second Hard Drive (drive size up to 12.7mm in height) to your DELL E5410, E5420, E5510 laptop using your laptop's optical drive bay. 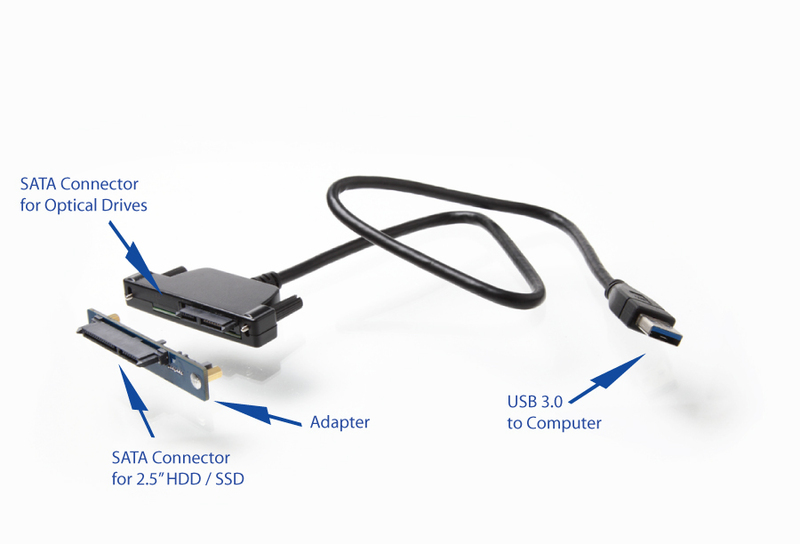 Add it as a second drive in the laptop in lieu of the SATA Optical drive. 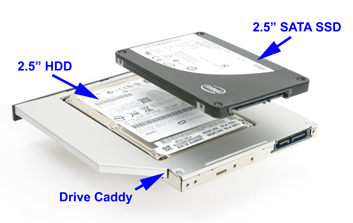 This device/caddy will fit in the CD/DVD/Optical drive bay found in your laptop. This is a really sharp-looking well-engineered product. 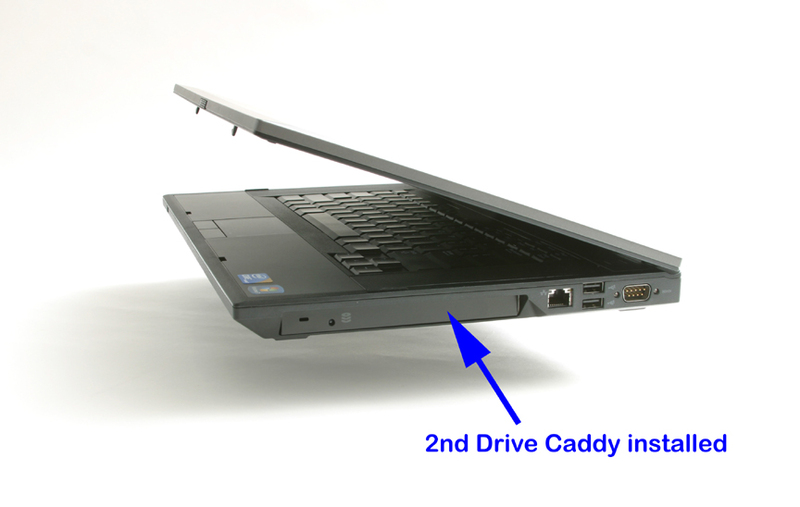 NOTE: the faceplate that comes with our caddy is not an exact match with the laptop. 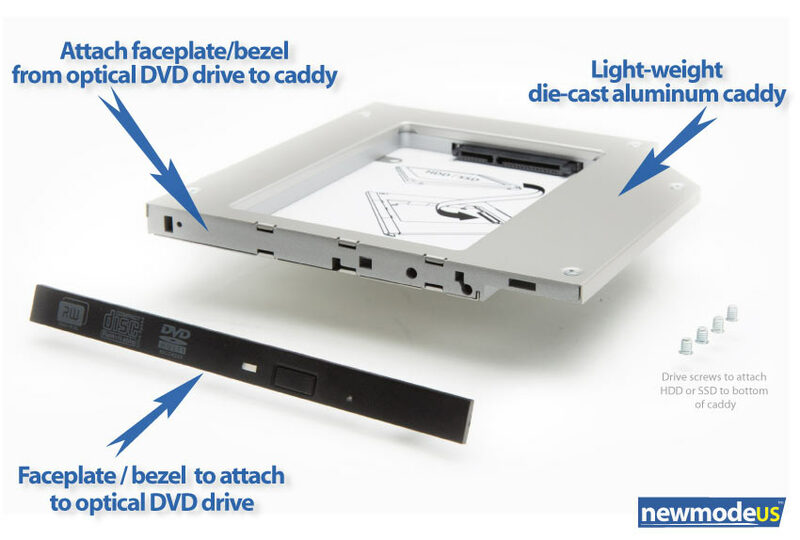 The faceplate that comes with the caddy is rectangular and flat, the original faceplate on your optical drive is curved, but You can also transfer your optical drive's "original faceplate" to our caddy for that more custom look. 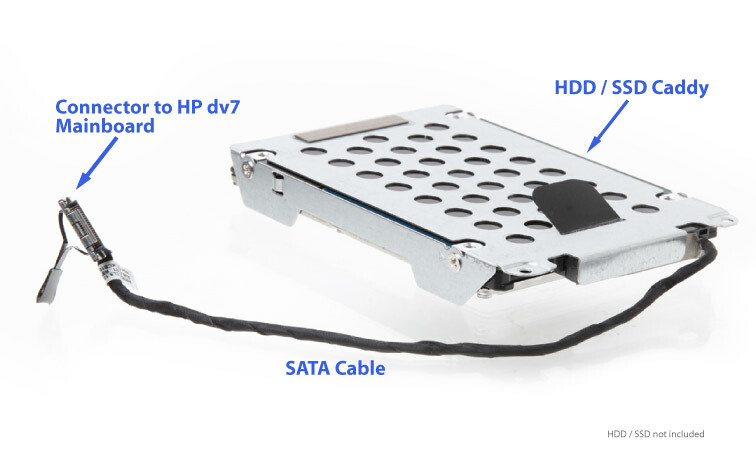 The metal bracket is finished in a nice silver sheen and has mounting screw-holes if you want to attach your original optical drive's "mounting brackets" to our OBHD caddy (see photo below) .